This winter the Vancouver Chinese Lantern Festival, the largest festival of its kind in Canada, will feature 35 illuminated displays transforming over 14 acres of the PNE grounds at Hastings Park into an explosion of light and colours. Tickets: Available online now through TicketLeader. Children under 3 years old are free. Group Rates available for groups of 10 and more, call 604-252-3663 for more info. Lantern festivals started during the Han Dynasty, about 2,000 years ago. For centuries, lanterns festivals have been lit on the fifteenth day of the first month in the Chinese calendar to pray for a good harvest, and to gain favor of Taiyi, god of heaven. Today, the lantern festivals are still held each year around the country, with each major Chinese city having its own light festival. In ancient times, the lanterns were fairly simple, and only the emperor and noblemen had large ornate ones. In modern times, lanterns have been embellished with many complex designs such as the ones that will be on display at the PNE. Zigong, hometown of the Lantern Festival, has some of the best lantern artisans in China where skills and a tradition of craftsmanship are passed down through the generations. 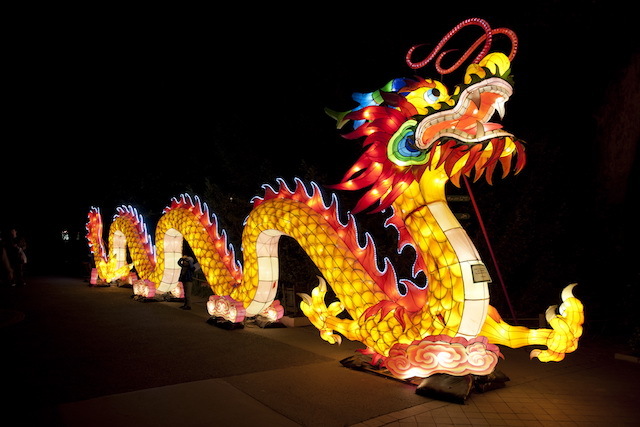 The Vancouver event will feature Dragon, White Pagoda, Kylin, and Huabiao Column lanterns, each lantern symbolizing a Chinese sage or legend. In addition to the lantern displays, the festival will also include nightly performances in the PNE Amphitheatre: 6:30pm & 8:30pm on Sundays through Thursdays and 6:30pm, 8:30pm & 9:30pm on Fridays & Saturdays. Featuring Face Changing, Acrobatics, Plate Spinners, Folk Dance, Jar Balancing and Erhu. These exciting performances are family friendly, and are sure to wow. The lantern festival will also feature a food and beverage program and additional children’s activities. I will draw one winner at random from all entries at 12:00pm on Wednesday, December 20, 2017. Update The winner is Claudia Andrews! This is very near my place! I’d love to go. Looks like a great addition to the annual festive activities! This would be great to check out. Nice to bring the family to see it. My family and I would love to go! Would love to take my mom and grandmother! This looks like such a neat event! I walk by this every day on my way to work. I’d like to check it out. Would love to go see this. Please pick me! This will make a perfect family day. This would be great to check out! I would love to go see this! This sounds like a good time! The TV Commercial looked fabulous… I would love to go~! I’d really like to look at the lanterns and catch an acrobatic show! We would love the opportunity to go. Omg this would be awesome to win!!! 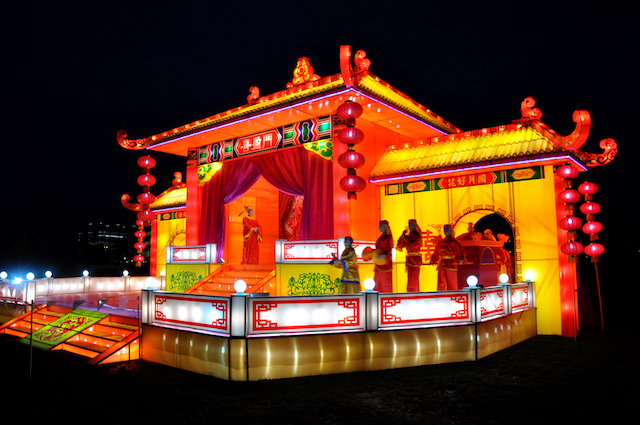 Wow, I would love to experience these amazing lantern displays and stage shows. So unique..would be a wonderful experience! This is beautiful, I would love to see it! My parents are coming all the way from Newfoundland for Christmas. They would love to see this. Thanks. Wow this is pretty cool! I didn’t even know about this event. Would love to take my mom. I would love to be able to take my family to this enchanted event! Would be so awesome to win! What a great family outing! We would love to go! My mix culture family of 4 would love a chance to see this spectacular show. Cool event! My daughter would love it! Would love to compare this with the lanterns I saw in Taiwan 30+ years ago! I’d love to go! It’d be a very different, unique experience from all the other Christmas light events. Sounds like a lot of fun. Would love to go! This would really cheer up my family since we been going thru a lot. Thank you and merry Christmas. It would be an evening of bliss & harmony for me! Thanks for putting this on! Would be amazing to take the old man. Good luck everyone! Light displays look amazing, I will put this to my Christmas to do list and they run till January 21! Would love to take the kids! Would LOVE, LOVE, Love to see this! Totally awesome prize and thanks for the chance miss604.com. Light up my holidays with some tickets! Perfect for Mommy & Munchkins Day! This display looks so beautiful! Would like very much to attend this one. Thanks!